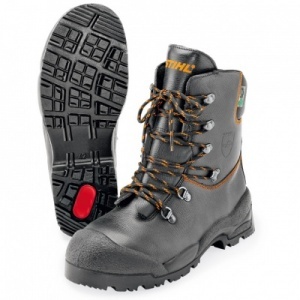 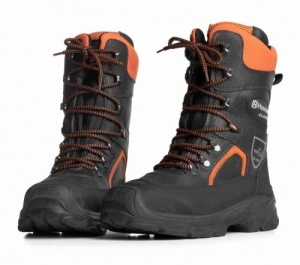 Comfortable & durable chainsaw boots with approved saw protection. 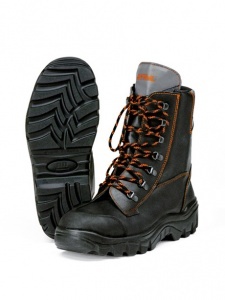 As well as being approved for saw work, these boots have additional reinforcements to the upper part with toe-cap and reinforcement around the sole. 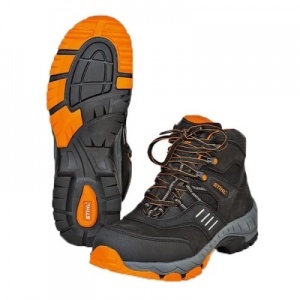 Ridges are present on the leg with deep lacing at the back, while a new heel cap makes it easier to put on and take off. 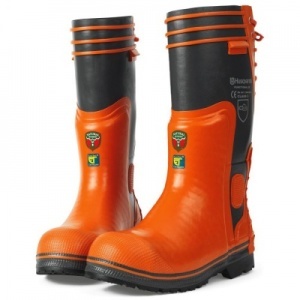 These protective boots from Husqvarna offer approved saw protection as well as steel toe caps and extra reinforcements to the sole and upper sections, with a cotton lining for comfort. 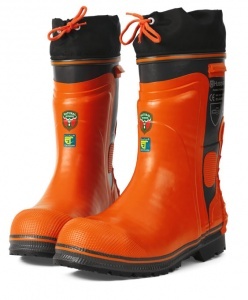 These rubber chainsaw boots have rough tread, self-cleaning, non-slip rubber lug soles. 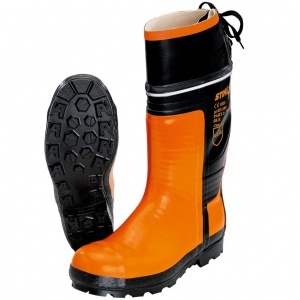 They have a laced shaft for excellent fitting, as well as reflective strips and protection class 3.